TEA BENEFIT Green tea guards against hepatitis: Viral hepatitis is often triggered by high levels of iron in the liver. Green tea lowers iron levels throughout the body, so may have a direct anti-viral effect against certain strains of hepatitis. Green tea can protect against cancer: There is growing evidence to suggest that green tea contains compounds that fight cancer. The tea contains a compound called epigallocatechin-3-gallate (EGCG), which helps inhibit blood vessel growth. DESCRIPTION The leaves are individually pinched and hand rolled in a traditional fashion. Patience, temperature control, and timing produce a fine jade colored leaf. 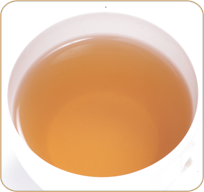 This full bodied tea has delicate flavor and sweet aroma.